Trees are not the solution to high CO2 despite what “scientists” say. I’m not worried about CO2, but I am worried about the governments and people who lie and say burning trees is low-CO2. Some people get it. KATOWICE, Poland – Today, it’s being called the bomb that could explode the United Nations carbon climate emissions accounting system ­– and possibly destabilize the global climate. When first conceived, this bomb was thought to be a boon: turn trees and woody biomass into wood pellets. Burn that woody biomass at power plants instead of coal to generate electricity. 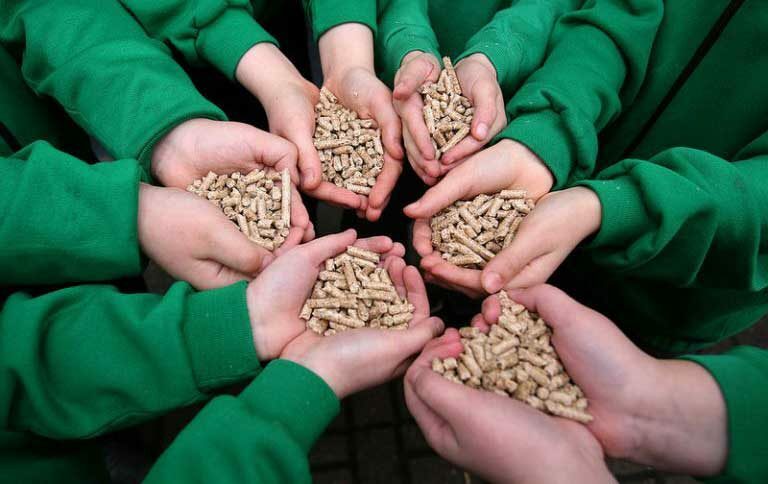 Plant more trees where the wood was harvested to offset the emissions produced by burning pellets. Then call it green and celebrate a sustainable way to reduce coal emissions. Some 20 years ago, bioenergy produced from biomass was seen as the next new thing, and a valuable sustainable resource. And because it was deemed renewable, countries that burned biomass – wood pellets instead of coal – would not be required to count those carbon emissions. All that carbon dioxide was believed to be absorbed by the new tree seedlings. For the purpose of United Nations carbon accounting policy, established under the Kyoto Protocol, the burning of biomass was established as, and is still considered, carbon neutral. But in recent years, the supposed benign process has been revealed through a series of scientific studies and reports to be a dangerous fraud. It is the ticking bomb underlying the UN accounting system; a potentially large-scale hidden, unreported source of carbon emissions that helps developed countries to meet their Paris pledges. Regular readers know I’ve been going on about the UK power plant DRAX switching from coal to wood pellets. And I’ve mentioned the EU directives that encourage wood boilers to be installed in the UK instead of gas. And I’ve mentioned the trees being felled to burn in Europe. And the morons at my alma mater SFU. Guess what … the air is filthy in the UK . Wood is a crappy high CO2 high particulate matter fuel. Combine that with diesel cars (which I’ve also mentioned) and the great killer fogs aren’t far away. The green lobbyists have big plans for some of the coal power plants Rachel Notley and the NDP plant to close down. The are going to convert them to burn trees. And quadruple the price of electricity. There is more than enough fibre both in Alberta and Canada to fuel a major expansion in pellet production to feed one or two large Alberta coal-fired plants without much of an impact in overall fibre availability. Presenter Jamie Stephen of Torchlight Bioresources estimates a gap between AAC and actual harvest of over 39 million bone dry tonnes (BDT) across Canada, as well as the availability of residues topping 30 million BDT. AAC is Annual Allowable Cut. The technology and processes are proven and expertise widely available to convert coal-fired plants to biomass. Presentations by Bill Strauss of FutureMetrics, Brent Boyko of OPG and Brian Moran of U.K. bioenergy giant Drax made that abundantly clear. Burning trees instead of coal is the future because government lobbyists can make people do stupid things. More lobbying to take an abundant resource (coal) and replace it with forests and charge consumers 4 times as much. The bulk of available biomass in Alberta and neighbouring B.C. is controlled by the major forest tenure holders, and so any solution will have to include them. Several speakers and attendees suggest the provinces could adopt a ‘use it or lose it” approach like Ontario. Lobby politicians with huge amounts of money and be quick about it! Or those idiots building windmills will get all the government subsidies. In order to ensure the lights don’t go out after Germany’s latest stupid energy decision to shut down its nuclear power plants, they are slaughtering 12,000 year old Oaks to dig up up the dirtiest coal – Brown Coal. Critics of the German government’s energy policy say it is unacceptable to raise C02 emissions by relying on coal as the country moves to switch off all its nuclear power plants by 2022. In order to extract the brown coal from the ground this winter, RWE will cut down 3,900 hectares of the 12,000-year-old oak and hornbeam Hambach forest, leaving just 300 hectares in tact. Previous tree slaughtering documented here.